An "armed and dangerous" 21-year-old man from Louisiana who allegedly fatally shot his parents, girlfriend, her father and her brother was captured Sunday morning outside his grandmother's house in Virginia, authorities said. 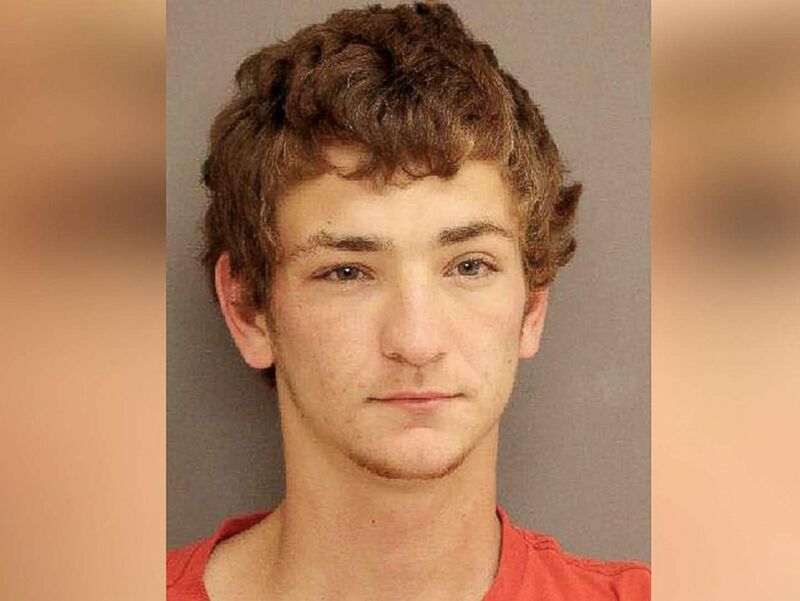 Dakota Theriot was wanted on multiple counts of first-degree murder, home invasion and weapons charges stemming from a killing spree that began in Livingston Parish, Louisiana -- just east of the state capital, Baton Rouge -- and continued at his parents' trailer in Ascension Parish. 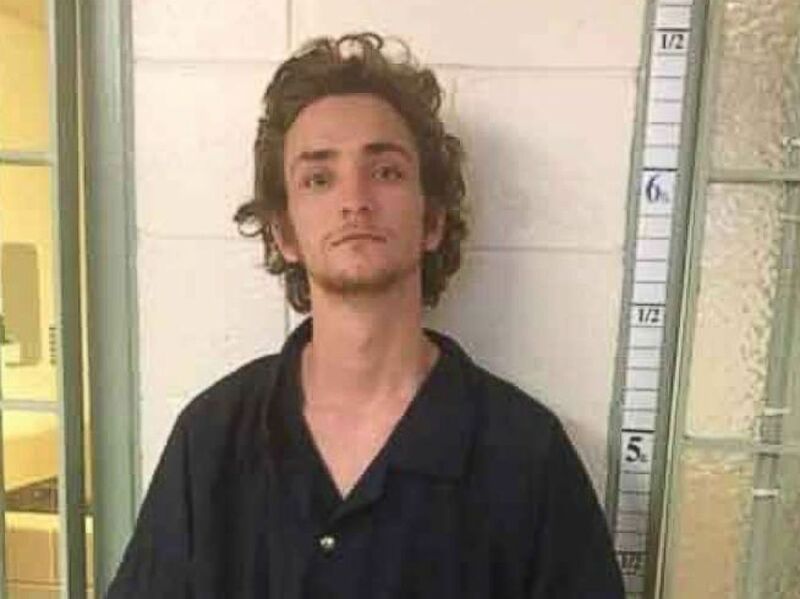 Theriot was arrested about 8 a.m. in Richmond County, Virginia, more than 1,000 miles from where he allegedly went on the killing rampage, Ascension Parish Sheriff Bobby Webre and Livingston Parish Sheriff Jason Ard said in a joint statement. Dakota Theriot in an undated photo. "He was very sleep deprived," Richmond County Sheriff Steve Smith told ABC News. "Once put in our booking room, he went straight to sleep... he seemed a little disoriented." Smith said his agency was alerted that Theriot had family ties in Richmond County. While deputies were checking the homes of Theriot's family members, his grandmother called and directed them to her house in Warsaw, Virginia, Smith said. He said that during the manhunt for Theriot, his grandmother stayed in a hotel because she feared the suspect would show up on her doorstep. "We did a safety check on the home to make sure that everything was fine for the grandmother to come back home, while the officers were there Dekota actually pulled in the driveway," Smith said. "He had a firearm," he added. "Once the officers engaged him he dropped the firearm and he was arrested without incident." He was booked at the Northern Neck Regional Jail in Warsaw and was being held without bail pending an extradition hearing, Smith said. Dakota Theriot is pictured in this undated photo released by Ascension Parish Sheriff's Office. Authorities said deputies arrived at Theriot's parents' home in Livingston Parish on Saturday in time to interview his dying father, who identified his son as the shooter. Sheriff Webre said during a press conference that a 911 dispatcher received a call around 8:45 a.m. about the two shootings, the victims of which were Theriot's father, Keith Theriot, 51, and his wife Elizabeth Theriot, 51. Shortly after the first call, the Livingston Parish Sheriff's Office received a call at 9 a.m. about a homicide involving multiple victims. Those victims, according to a Facebook post from the Livingston Parish Sheriff's Office, were Billy Ernest, 44, and two of his children -- Summer Ernest, 21, and Tanner Ernest, 18. Summer Ernest had recently started dating Theriot, according to her relatives. It's been a long time since we've had anything of this magnitude when it comes to domestic violence. "It's been a long time since we've had anything of this magnitude when it comes to domestic violence," Webre said during the news conference. "We don't know the relationship between the father, the mother and the son at this time." The Ernest family's two youngest children -- ages 1 and 7 -- were unharmed in the shooting. Neighbor Charlene Bordelon told The Advocate she called 911 after the children told her that their father, brother and sister were dead. "She was terrified," Bordelon said of the little girl, the newspaper reported. "It's so heartbreaking." Bordelon and her husband said moments before the children knocked on their door, they heard a truck speed away from the home. Crystal DeYoung, victim Billy Ernest's sister, said in an interview with The Associated Press that she believed Theriot had just begun to date her niece, Summer Ernest -- who was also killed. My family met him last weekend at a birthday party and didn’t get good vibes from him. "My family met him last weekend at a birthday party and didn't get good vibes from him," DeYoung told the AP. She said she wasn't sure how her niece and Theriot met, but that she believed the relationship was relatively new. DeYoung said she skipped the birthday party and didn’t meet Theriot herself. She identified victims Summer and Tanner Ernest as two of Billy’s three children. He was also raising his wife's children. Webre said Theriot had been driving a 2004 Dodge Ram pickup truck that belonged to his girlfriend's father, Billy Ernest. Prior to Theriot's capture, Webre described the suspect as an "armed and dangerous guy" and warned that anyone who came in contact with him "could be a target." In a previous run-in with the law in 2017, Theriot was asked to exit his vehicle during a traffic stop but instead drove off, throwing suspected marijuana out of the vehicle. When he was arrested, police found marijuana and paraphernalia in his possession, according to the St. Charles Parish Sheriff's Office. ABC News' Stephanie Ramos, Anthony Rivas and Chris Francescani contributed to this report.